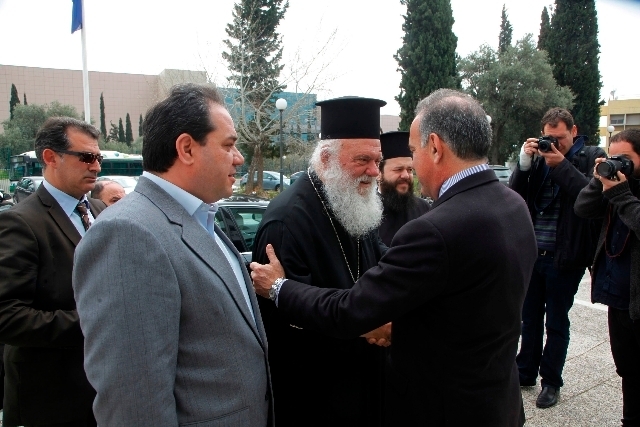 With the blessings of His Beatitude, Ieronymos II, Archbishop of Athens and All Greece and the significant contribution of Eurobank, “Apostoli”, the Philanthropic Organisation, has been implementing a special program entitled: “Apostoli supports Students” appropriately offering support to students’ families facing problems in finding food keeping, at the same time, their anonymity, dignity and respecting their school relationships. Furthermore, it tries to solve the problem at the source as an undernourished student means that there is an entire family which is undernourished. The Ministry of Education selects the appropriate primary or secondary schools to be included in the interventions. The responsibility of distributing the food packages in the schools is borne by APOSTOLI, but the packages are distributed to the students’ families by the primary or secondary school included in the program. The content of the food packages is the same for all (type and quantity of food) and each family receives as many packages as the members of the family (3-member, 4-member, 5-member, 6-member, 7-member etc). The lists with the package deliveries are kept at the school and only the person responsible for the procedure has the right of access to them. This person is also under the obligation of preparing a monthly list for the program which is then sent to the Ministry of Education and Religious Affairs and APOSTOLI. No personal information is included in the list (first or last name or any other information) of the families or the students. An assigned employee of APOSTOLI in cooperation with an employee of the Ministry of Education and Religious Affairs has the right to take any random sample of the monthly lists to confirm the proper operation of the program. Students are included in the lists by submitting specific supporting documents as the program wishes after examining them to ensure that the help is provided for those really in need.